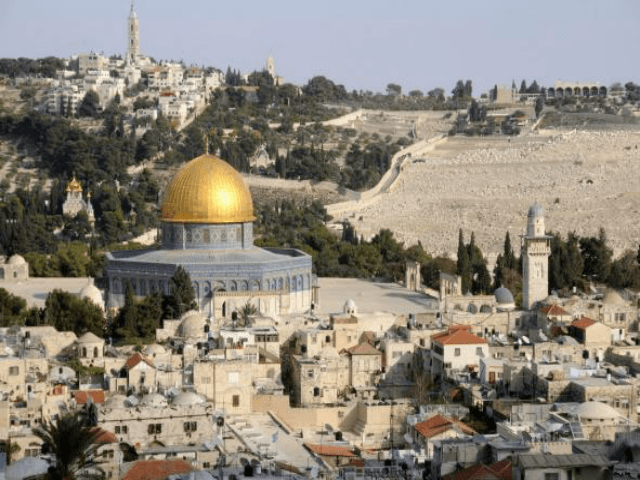 TEL AVIV – A stash of extremely rare bronze coins from the time of the Jewish Revolt against the Romans has been unearthed in a cave close to the Temple Mount in Jerusalem. 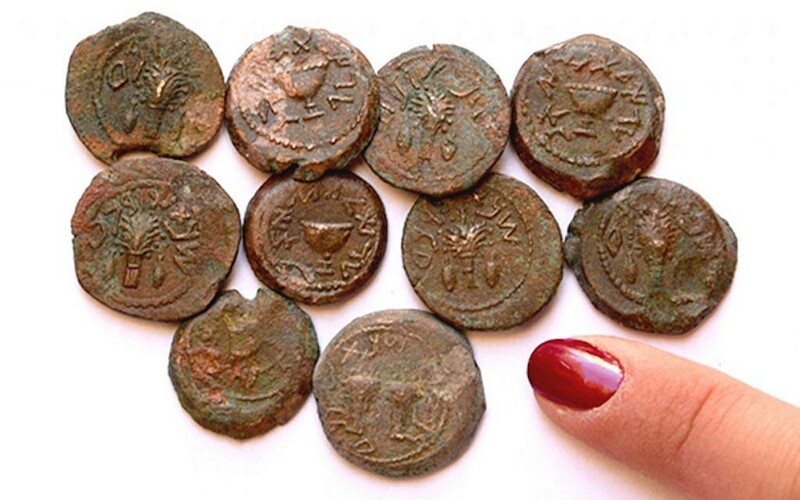 The bronze coins, which were discovered at the Ophel excavations by Hebrew University archaeologist Dr. Eilat Mazar, were hidden in the cave during the siege of Jerusalem in the Second Temple era in 66-70CE, according to a press release from the Hebrew University. The majority of the trove date back to the failed revolt’s final year, known as Year Four (69-70 CE) and are embedded with Jewish symbols, including the four plant species associated with the holiday of Sukkot. The Hebrew inscription reads “For the Freedom of Zion” from the earlier coins and “For the Redemption of Zion” on those from Year Four. “A discovery like this — ancient coins bearing the words “Freedom” and “Redemption” — found right before the Jewish Festival of Freedom — Passover — begins is incredibly moving,” said Mazar in the press release. He said the cave was untouched since that time, essentially making it a “time capsule” of Jewish life during the revolt. Other artifacts including pottery jars and pots were also found in the cave. “This is an opportunity that doesn’t occur every day, to investigate a completely untouched cave at that important area of Jerusalem, just to the south of the Temple Mount in the area of the Ophel. It’s not going to be dull,” said Mazar.